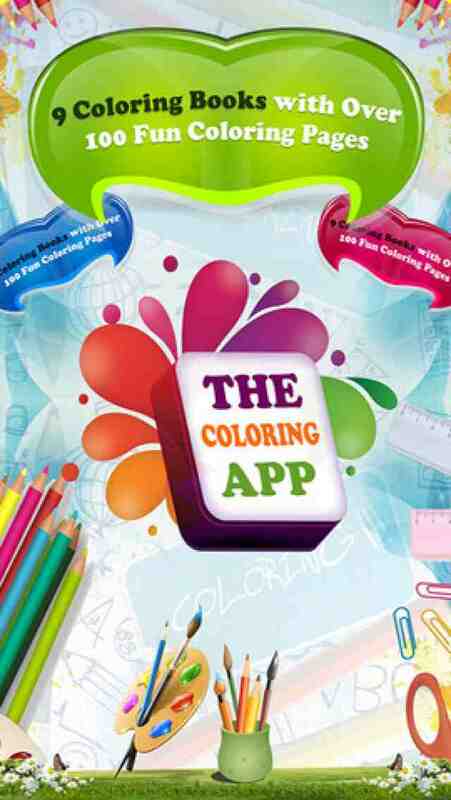 The Coloring App gives you the best Coloring Fun on your devices. No more need for purchasing coloring books and color pencils; you can now do all the coloring on your iPhone/iPad using The Coloring App. 9 books with over 100 drawings for your Kids to color. Save the images to the device and use as wallpaper. Share with friends and family via email. Pinch and Zoom to color hard to get areas. Kids love the Coloring app. Have all the drawing and coloring fun that you want. More coloring books to be added soon. Watch out for the Dino Coloring Series to be added soon. The touch sensitive screen is easy to pick up and play for both kids and adults. This is one iPhone / iPad app the whole family will be sure to enjoy.